Controversial boxer Tyson Fury moved closer to his dream all-British world heavyweight showdown with Anthony Joshua when he was told on Friday that he will get his licence back if he passes a medical. 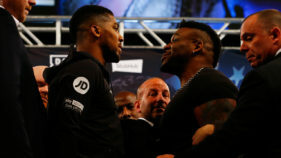 The 29-year-old — who has not fought since his shock win against Wladimir Klitschko in November 2015 to become the undisputed heavyweight world champion — cleared a hurdle in his battle to fight again after a meeting with the British Boxing Board of Control (BBBC) on Friday. “Following (an) interview with Tyson Fury at the BBBC offices earlier today, the suspension of his boxer’s licence will be lifted subject to receipt and clearance of all medical requirements,” a statement read. That announcement follows another favourable ruling last month as the troubled boxer tries to return to the ring following a positive test for steroids. 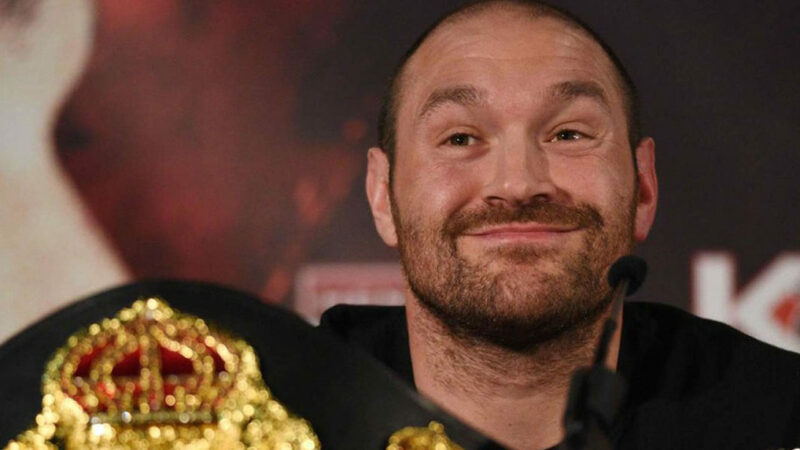 In December, UK Anti-Doping (UKAD) cleared Fury to return, after an absence of over two years, following his acceptance of a backdated two-year ban. Fury — who will have to bide his time to fight Joshua as the WBA and IBF champion is due to box New Zealand’s WBO titleholder Joseph Parker in Cardiff on March 31 — had been charged along with his cousin and fellow boxer Hughie, who also failed a test for nandrolone in February 2015. Both insisted the positive tests were a result of eating wild boar that had not been castrated. Fury also failed a test for cocaine in September 2016 and later admitted using the recreational drug to deal with depression related to his injury and UKAD problems.